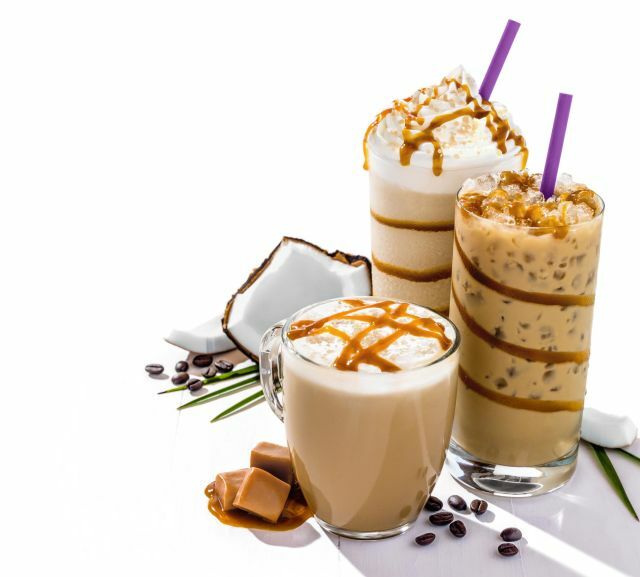 The Coffee Bean & Tea Leaf celebrates spring with three new Coconut Caramel coffee beverages for a limited time. The seasonal creamy and sweet combination can be had as an Ice Blended, a latte, or an iced latte. Each joins the chain's espresso with milk (steamed or cold depending on the drink) plus coconut and caramel flavors and tops it off with bits of sea salt toffee. You can find the three drinks at participating Coffee Bean locations.